When jurors evaluate witnesses in criminal cases, they examine evidence in an effort to corroborate the statements offered by these witnesses. Jurors are looking for some limited confirmation of the facts offered on the stand. Imagine, for example, a witness testifies that the robbery suspect approached the bank teller, pointed a gun at her (using his right hand), began to climb up onto the counter (using his left hand), screamed at the teller, and demanded that she give him the money from the cash drawer. Jurors who hear this testimony may want some additional evidence to confirm that the witness statement is accurate. 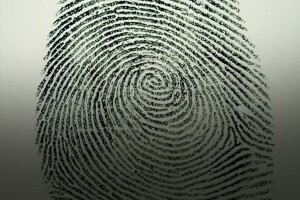 As a result, prosecutors may introduce fingerprint (or shoeprint) evidence from the counter in an effort to corroborate the witness. If the fingerprints on the counter match the fingerprints from the suspect’s left hand and the shoeprint matches the suspect’s shoe, the statement of the witness would be considered reliable and corroborated by the evidence. But did you notice that print evidence from the counter did nothing to confirm the specific actions of the suspect, beyond his contact with the surface? This corroborative evidence told us nothing about why he climbed the counter, nothing about his possession of a firearm, and nothing about his demand for money. While the fingerprints and shoeprint corroborate the statement of the eyewitness, they do so without establishing every possible detail. This is the nature of corroborative evidence; each piece addresses and verifies a “touchpoint”, a small aspect of the testimony that is sufficient to corroborate the larger account. Even if the prosecution had a video tape of the entire robbery, many aspects of the witness’ testimony would still be missing (like the audio portion of the crime, most likely). At some point, jurors have to trust what the witness has to say about the event. Corroborative evidence always verifies a limited range of witness claims. This is also the case with the evidence that corroborates the witness testimony of the Gospel accounts. Skeptics often argue that corroboration of the Gospels is too limited, but the nature of the corroborative evidence shouldn’t surprise us. We should expect to find “touchpoint” corroboration; partial details that tend to corroborate the larger account. So when archaeology confirms some limited percentage of the geographic claims of the Gospels, this should be seen as a significant step toward corroboration. When a first century non-Christian author mentions some limited aspect of the Christian narrative, this should be seen as a significant step toward corroboration. When internal evidence (the correct description of proper names, government structure and cultural setting) substantiates some limited aspect of the Christian accounts, this should be seen as a significant step toward corroboration. And when all these corroborative evidences are considered in unison, this should be acknowledged as reasonable verification of the ancient accounts contained in the Gospels. Corroborative evidence is always limited; it always addresses some small aspect of the event under consideration. Jurors then extrapolate from this corroboration to determine if the broader testimony is reliable. They do this after they assess the testimony with the three other questions I described in Cold Case Christianity (“Were the witnesses present?” “Were the witnesses accurate?” and “Were the witnesses biased?”). We can’t expect the corroborative evidence to establish every claim made by the witness. Instead, the corroborative evidence provides us with another important piece of the puzzle related to reliability. At some point, we then have to trust what the witnesses say about the event.